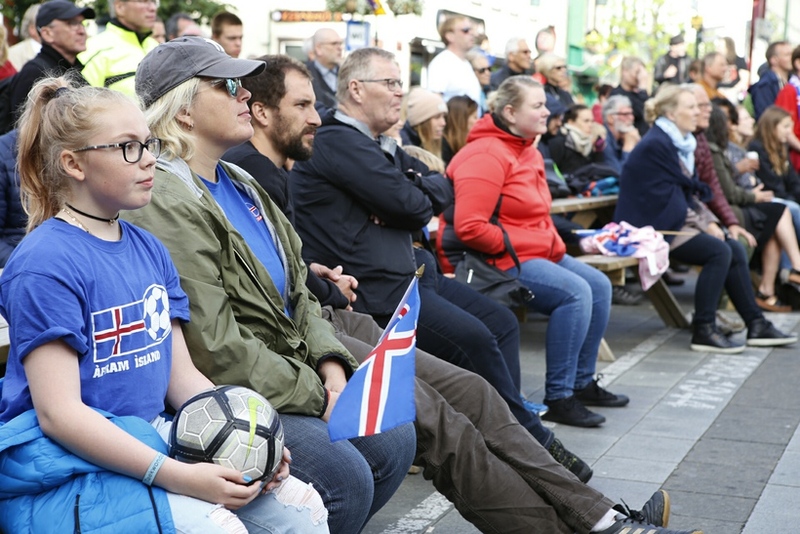 A great crowd of people gathered at Ingólfstorg square last night to watch the Iceland - Austria match at the UEFA Women's Euro 2017. 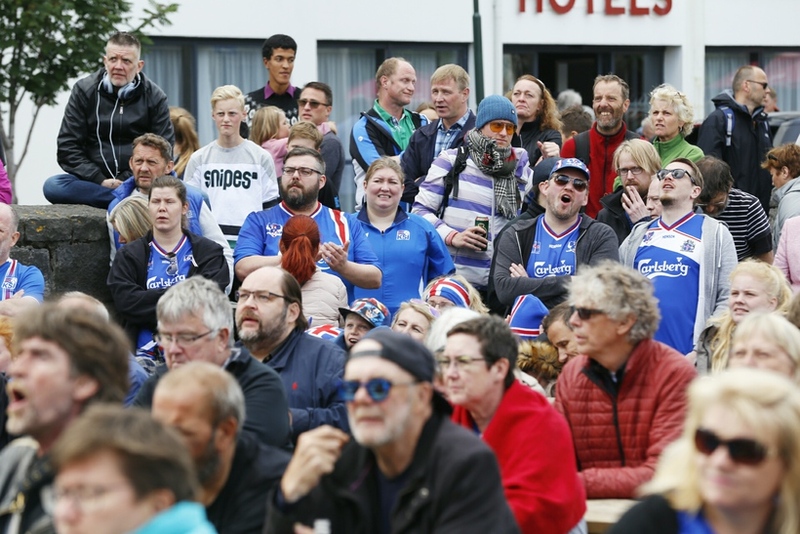 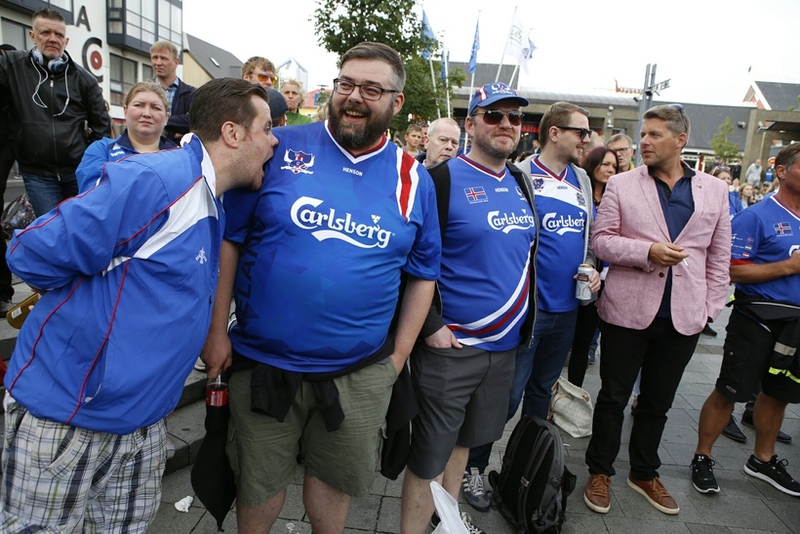 A number of people wore blue in support of the Icelandic team. 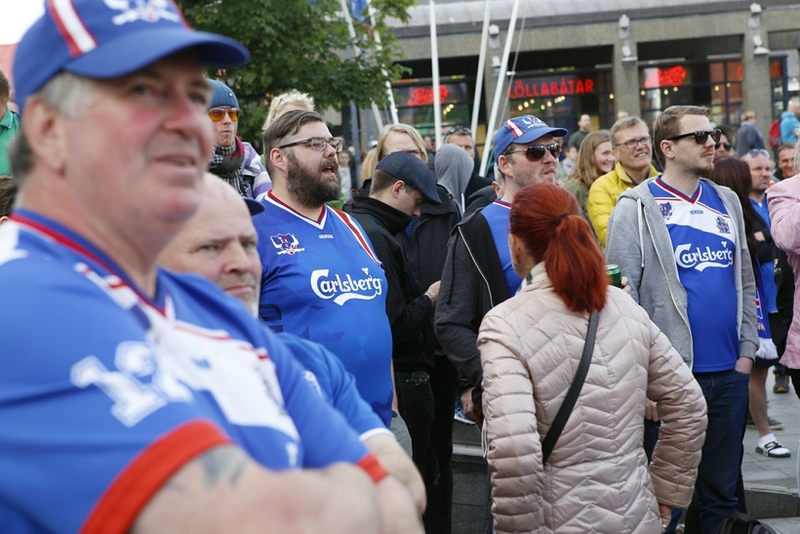 Unfortunately the team has had bad luck in the championship and last night they were beaten with 3 goals to 0 by the Austrian team.